Let me guess. You have email coming to you from more than one box. Maybe you have a Gmail address for some things, a work address, and one or more personal addresses. That’s my story. Currently, I have more than one personal box (one being Gmail in order to use Google services), an inbox for HOPE Unlimited, AND email boxes I monitor for clients or that have me on their system for the support work I do. How can we keep track of them all? Here are some tips. Decide on one primary, centralized inbox for processing email. Yes, we are a mobile society and can see our email on phones, tablets, laptops, desktops, etc. But where do you PROCESS email most often? Organize that spot first. In my case, I am at my desk “cockpit” the most. I’ve used Outlook for years, and although there are some things that don’t thrill me about it, it’s a familiar and organized interface for me. I have it set up for my business and personal mail, and when practical, can have it “pop” client email into a separate folder for processing. I use Google to connect with email for other clients, also accessible of course from my desk. If you decide to use your mobile device to handle email, I recommend using one primary device for this, to keep your mind uncluttered. It may help with keeping your “sent” file consolidated to one place as well, although it’s possible that will also sync across devices. Add “check email” to your task list. If you must manage multiple accounts, and some require going to a different interface, add a reminder to your recurring task lists. For example, “Check Client A’s email” could be a recurring task that pops up each weekday. 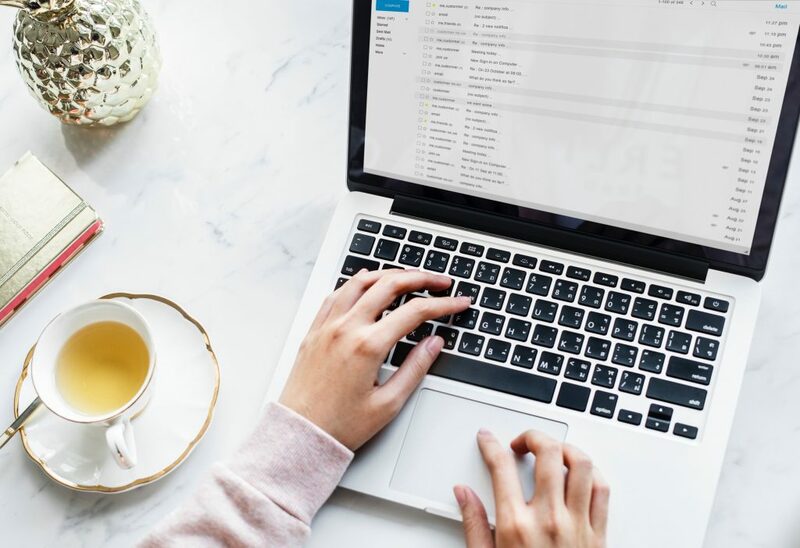 If you have an email account you don’t check often, but do need to glance through, add a task for once a week or every other week to remind you to check that box. If you subscribe to newsletters or store flyers by email, try to have a separate email box for items like that. You can also use a service like Unroll.me to consolidate emails like this into one daily digest. 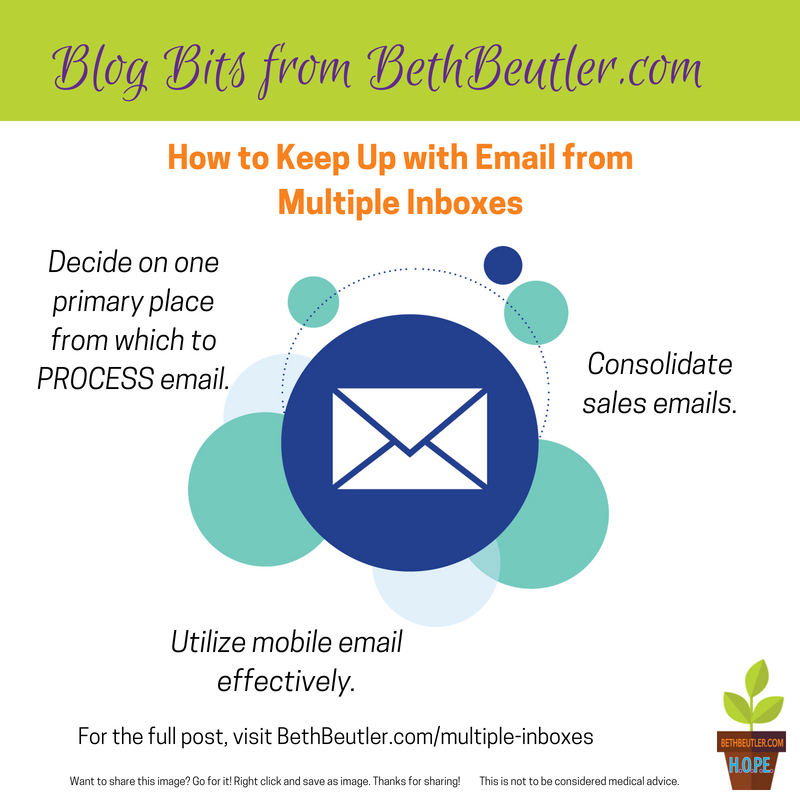 It’s not uncommon for professionals to have multiple email boxes. These tips will help you centralize your approach. Your turn? What’s your best tip for handling multiple email boxes?